Researchers create lab-grown mouse skin complete with hair follicles and sweat glands. 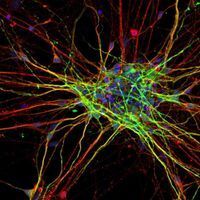 Transplantation of the bioengineered, 3D integumentary organ system using mouse iPS cells labeled with GFP© RIKEN, TAKASHI TSUJIScientists just got one step closer to growing functional skin in vitro. 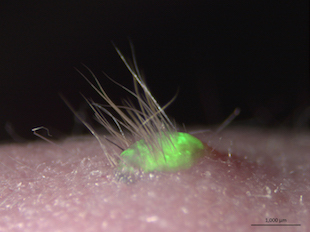 A team at Japan’s Riken Centre for Developmental Biology has grown skin from mouse induced pluripotent stem cells (iPSCs) that sprouted hair and developed sweat glands when implanted into living animals, according to a paper published in Science Advances last week (April 1). It’s not the first attempt to grow skin in the lab. In 2014, researchers in the UK grew human skin epidermis from stem cells. But the skin produced by these efforts lacked essential features like hair follicles and sweat glands, according to BBC News. For the present study, Tsuji and his colleagues took cells from the gums of mice and converted them into iPSCs. They fluorescently labeled the cells and grew them in vitro to form tissue with three skin layers: epidermis, dermis, and subcutaneous fat. The researchers then transplanted the tissue into immunosuppressed mice, where it successfully connected to nerves and hair follicle muscles. John McGrath, a professor of molecular dermatology at King’s College London who was not involved with the study, told BBC News that the work puts scientists “over the halfway mark” toward growing skin in the lab that could one day be used in human patients. But other researchers were less optimistic. 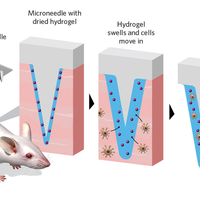 Dusko Ilic, a stem cell researcher at King’s College London—and one of the researchers who grew human skin in 2014—told The Verge that the scientists don’t yet have “the faintest idea how to control or manipulate” the lab-grown mouse skin. 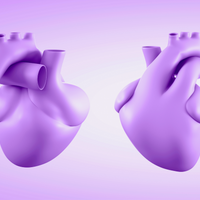 Tsuji told The Verge he and his colleagues hope to translate the technique for clinical use within 10 years.